Since we have entered October it is time to share some Halloween themed recipes! For some reason Halloween has to be one of my favourite times of the year, probable because I am a huge fan of horror movies. So to celebrate this spooky holiday I’ve decided to make some fun and “spooky” dishes. Where kicking things off with a green chia pudding parfait, I don’t know why but dark green always reminds me of witches and sorcerers. Now that I think of it I actually started the Halloween theme last month with this black humus, you should definitely check it out if you want to surprise your friends/family with a dark twist on this beloved party dip! 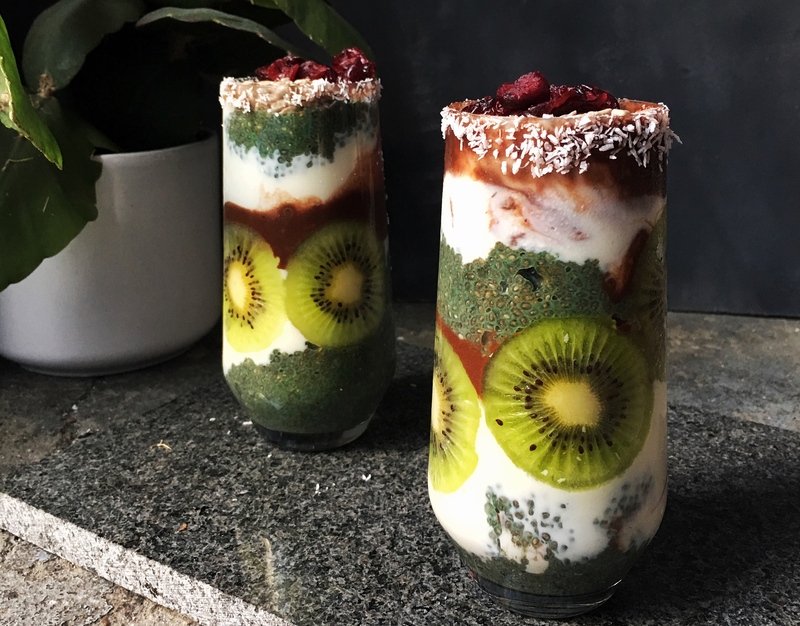 Chia pudding is one of my staples, its easy to make and very versatile, this weeks recipe is my favourite breakfast item of the week, a chia green cinnamon chia parfait with a chocolate shake, some fruits and seeds and some coconut yoghurt. 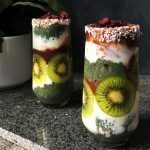 This has to be one of the easiest of breakfasts, that does require some prepping the day before, but trust me the prepping is done in seconds! You simply throw everything in a jar, stir it a couple of times and let it rest overnight, next day you throw some bananas, cacao powder and non dairy milk in the blender and voila, perfection! 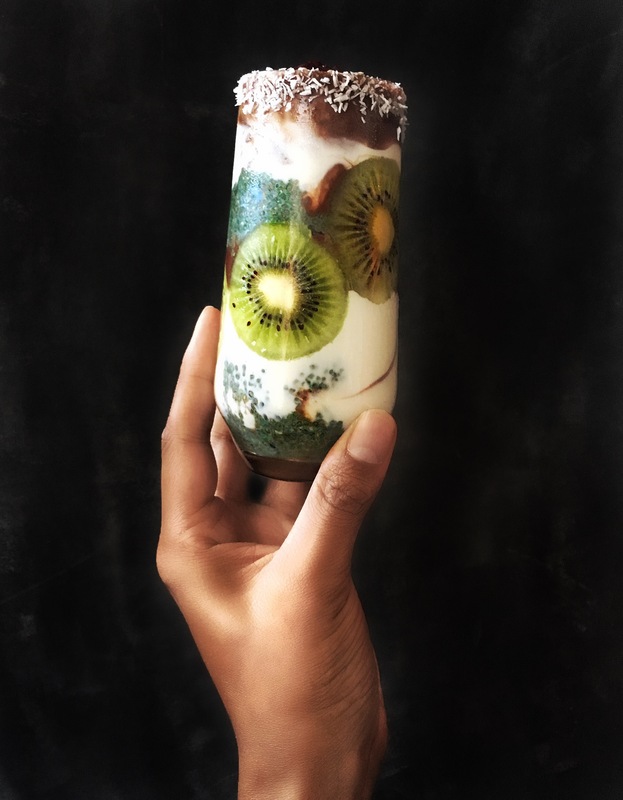 I hope you’ll enjoy this parfait and feel free to let me know in the comments below or to tag me in your creations on instagram! To make the chia pudding simply mix all the ingredients in a jar and make sure yo mix it well! Give it a stir every once in a while until it starts to get thick and place it in the fridge to sit overnight (or a few hours). Add everything to a blender and blend until you are left with a creamy chocolate shake.